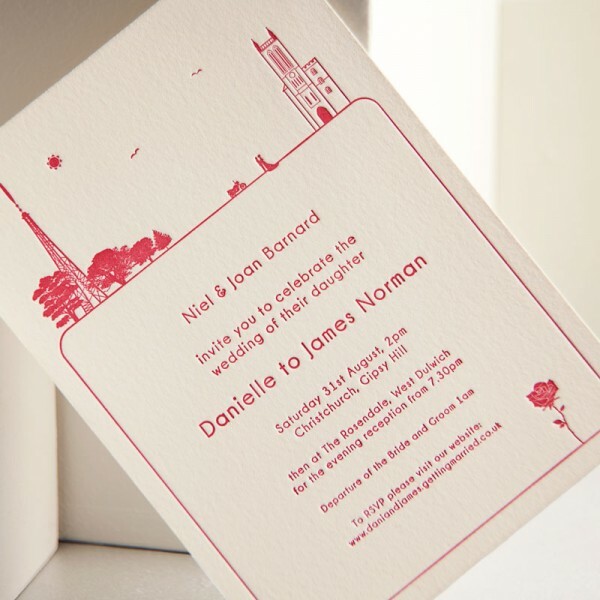 This vibrant wedding invitation was printed onto card that I had initially blind de-bossed (using no ink) to create a wave texture behind the design. 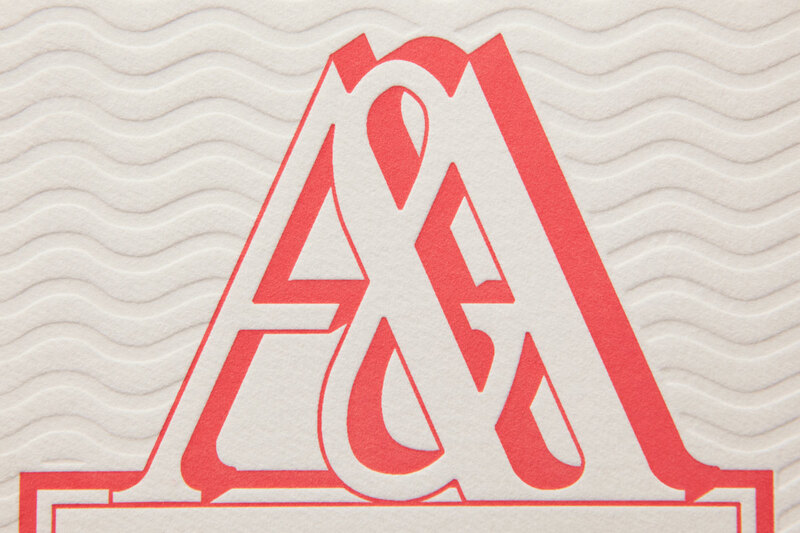 The A & A monogram and boxing frames the simple typography, which the bride and groom chose to be printed in pink pastel ink. 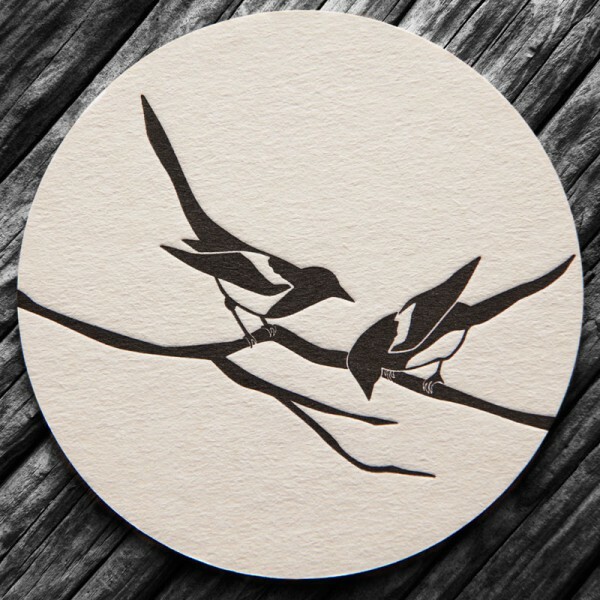 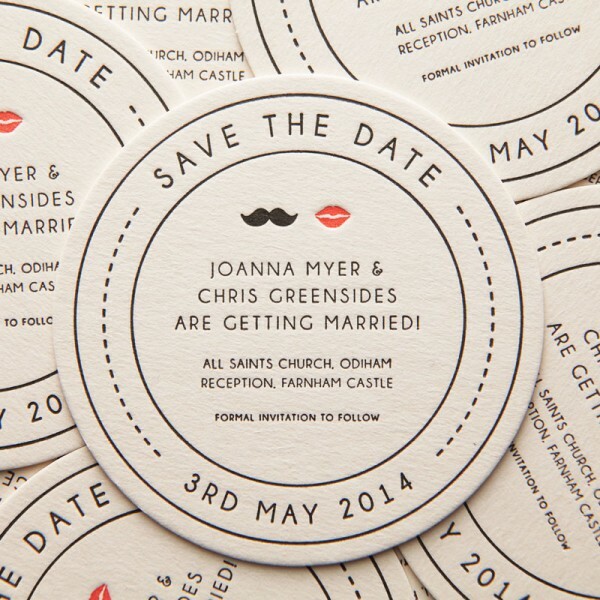 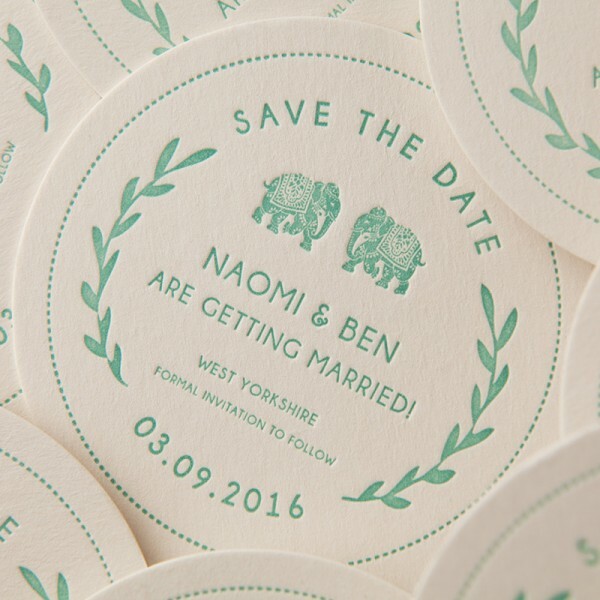 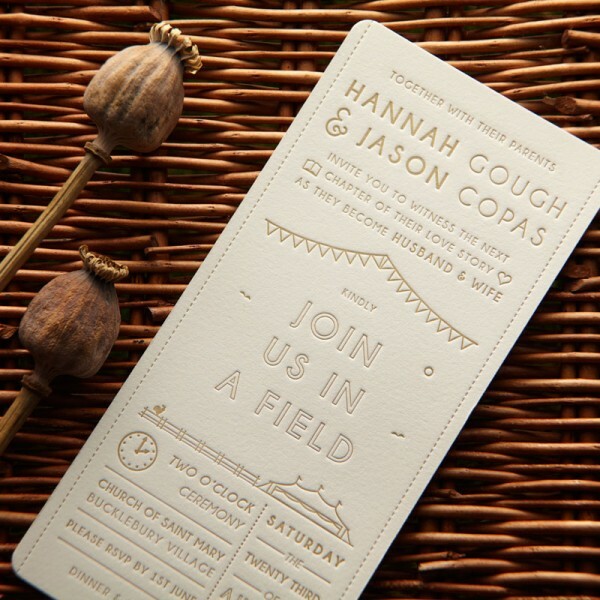 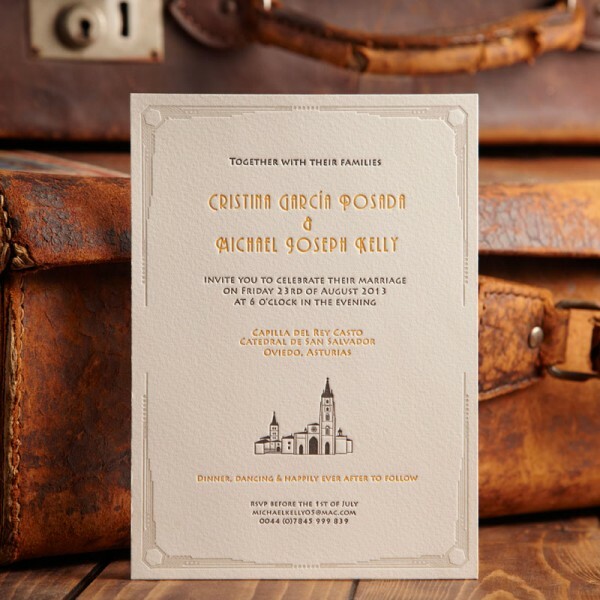 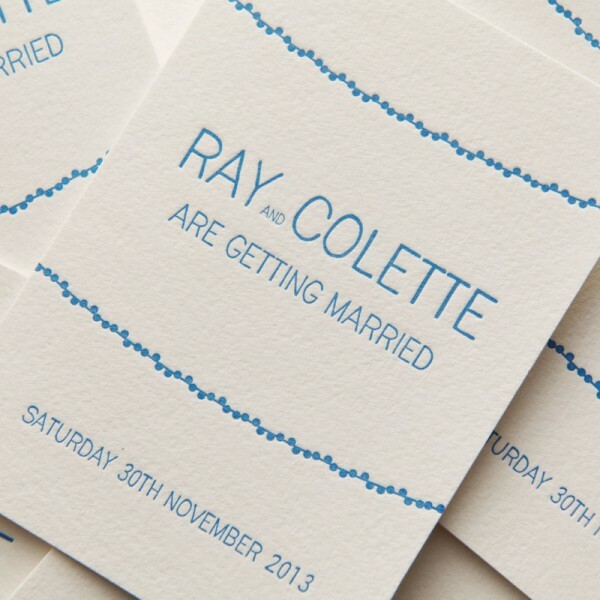 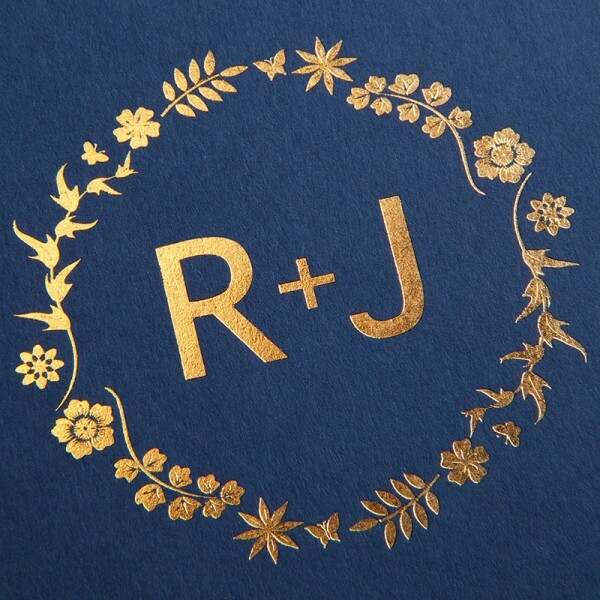 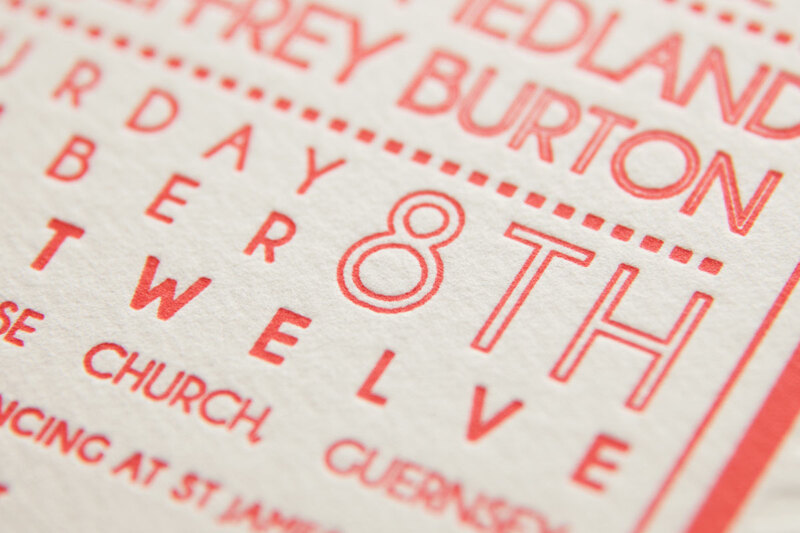 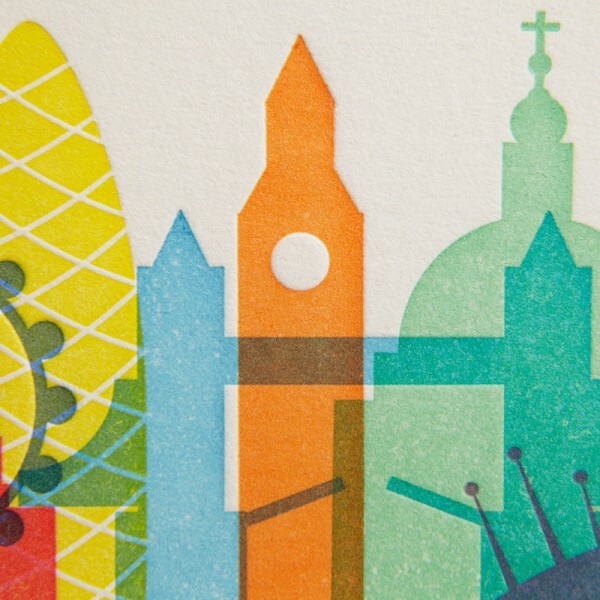 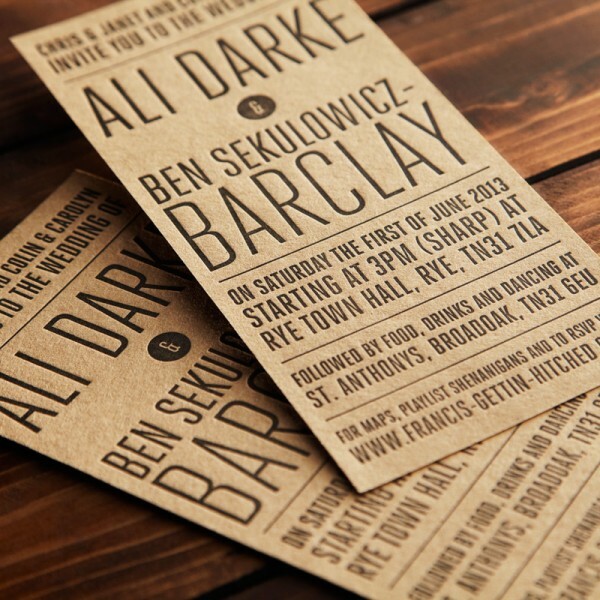 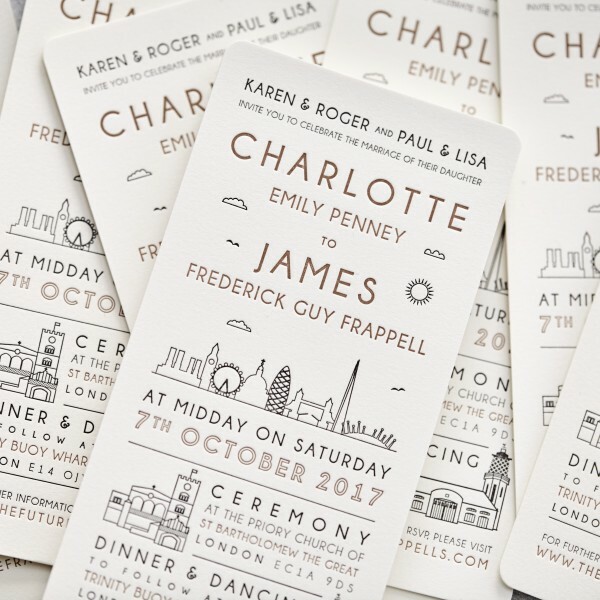 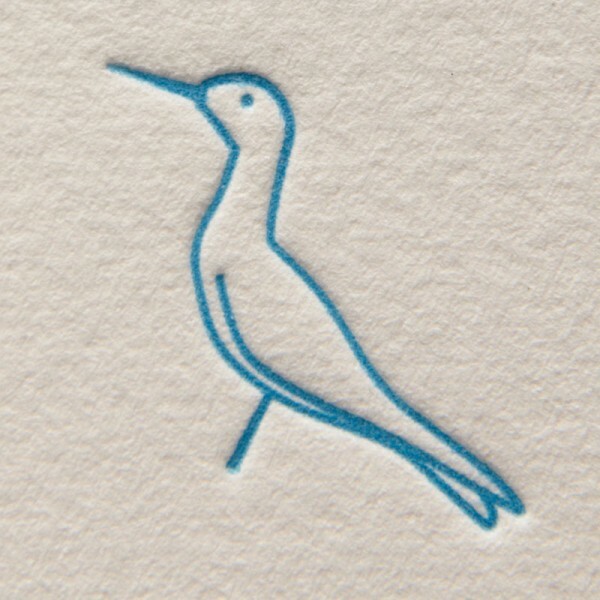 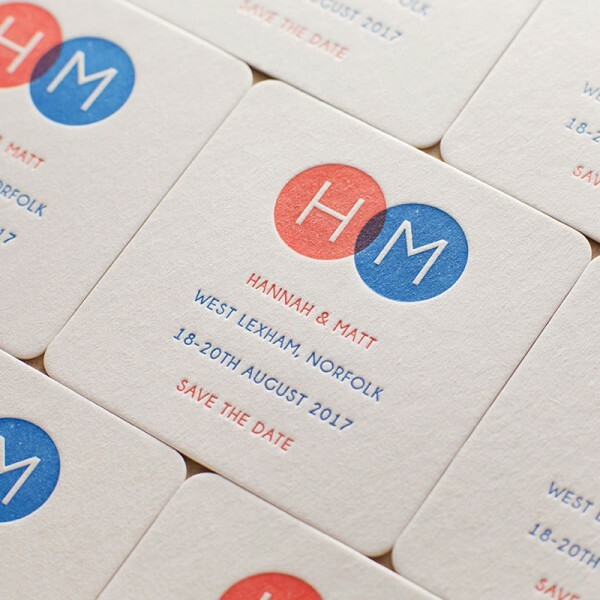 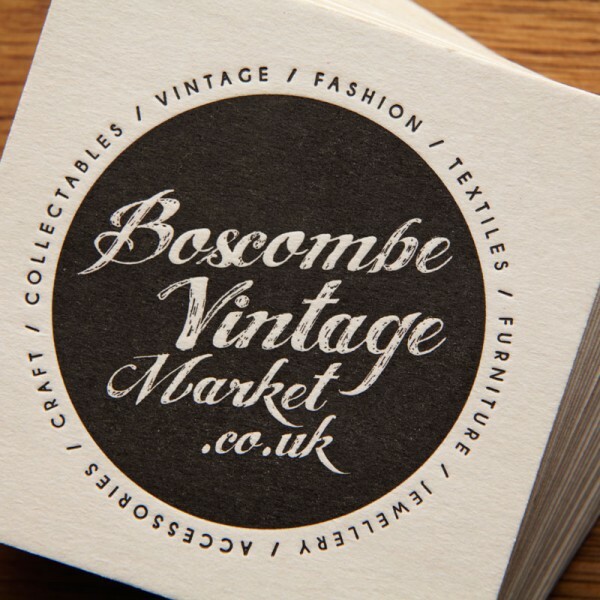 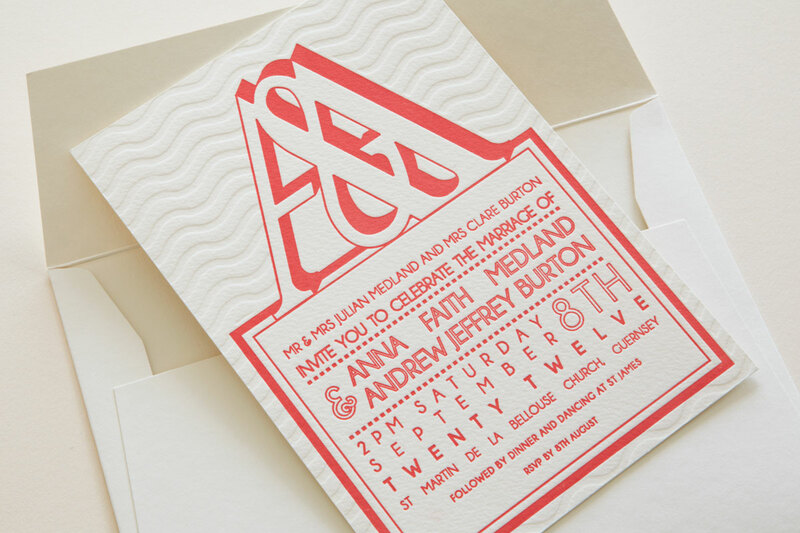 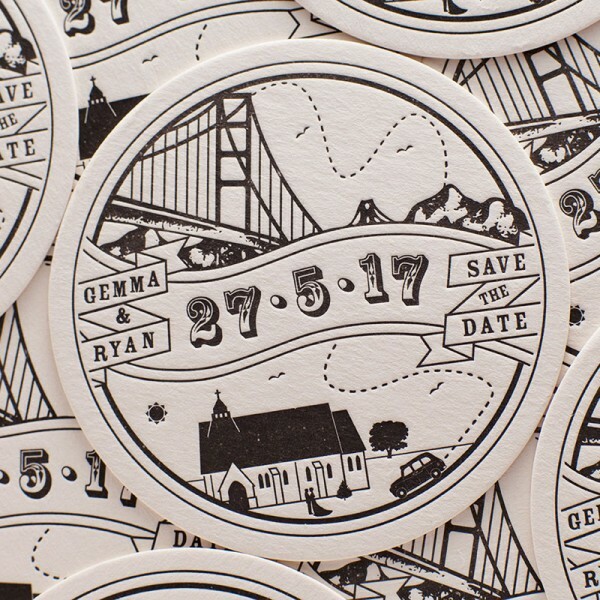 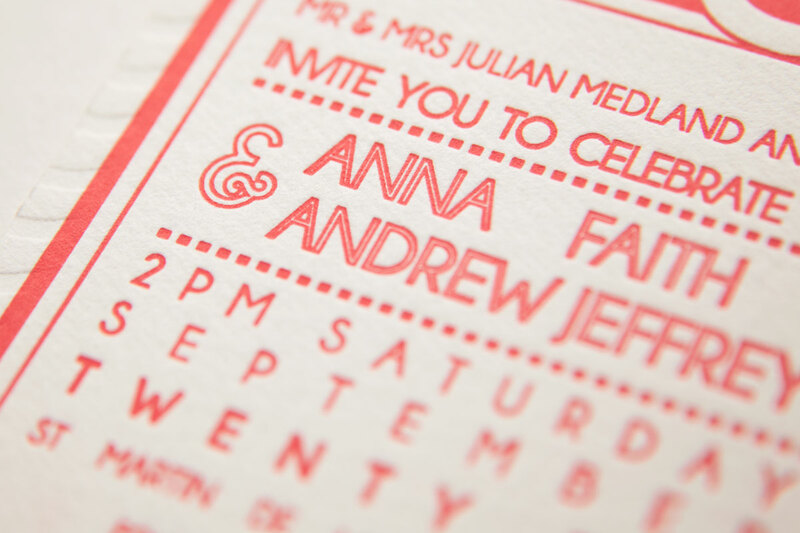 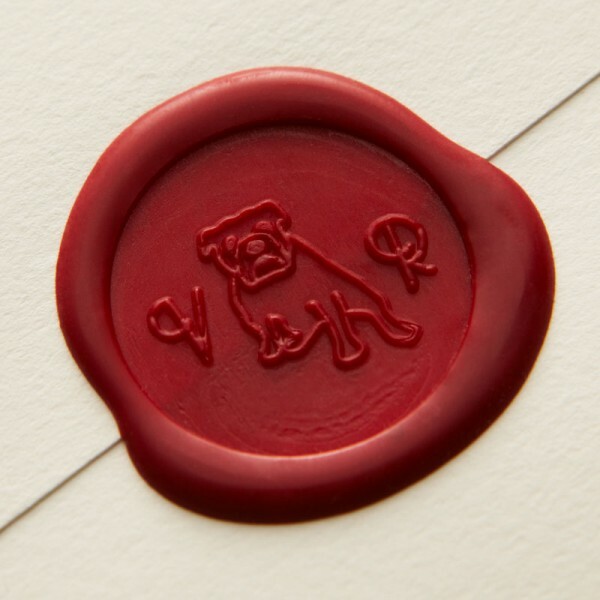 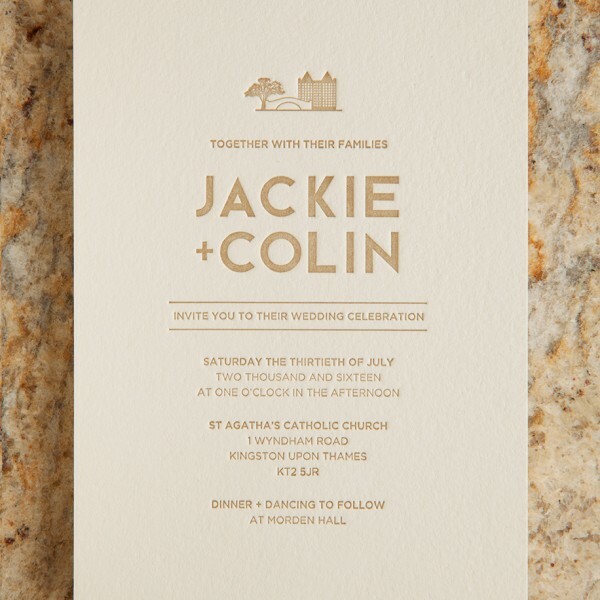 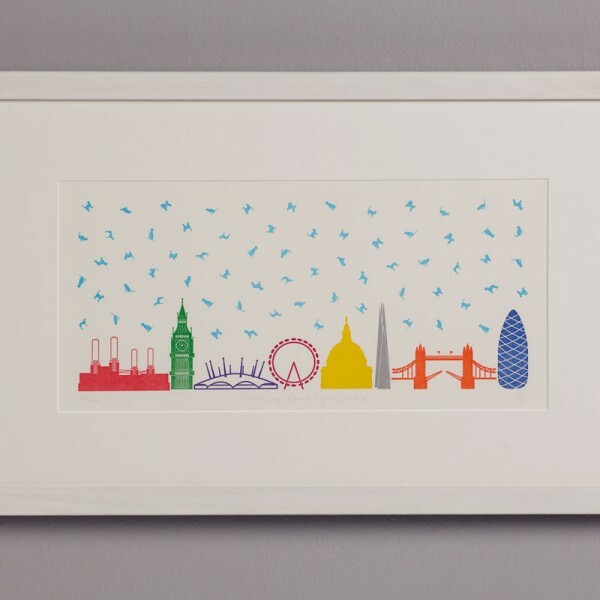 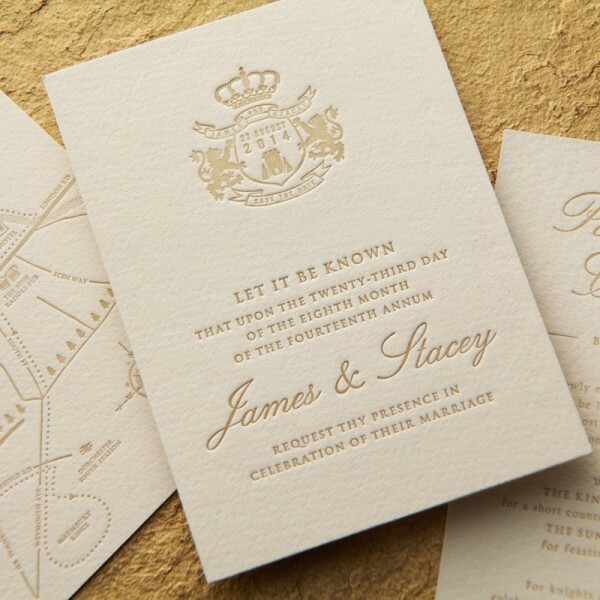 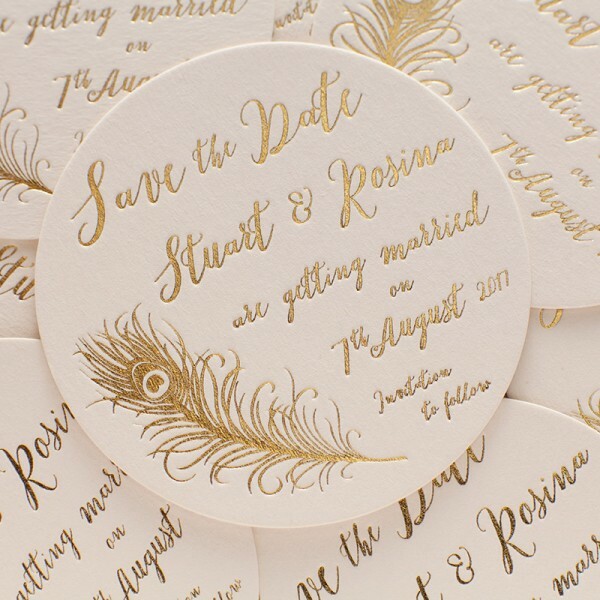 This creates a clean, modern look and interesting feel to the invitation.